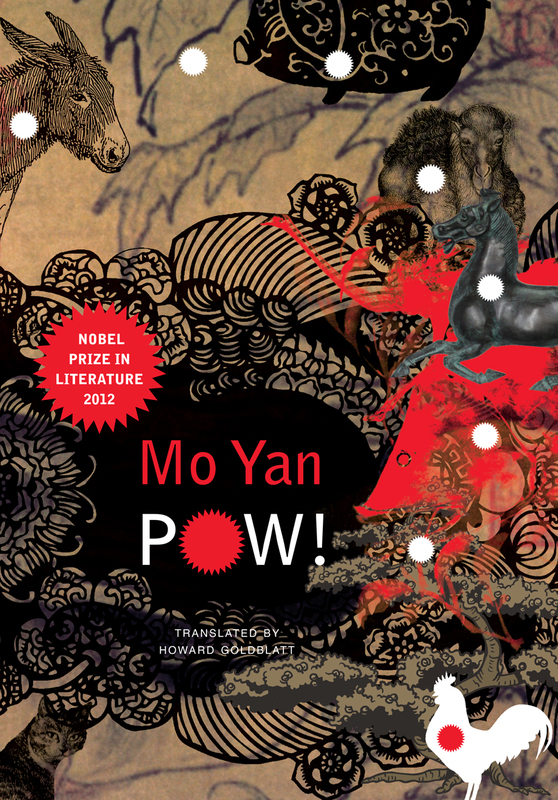 In this novel by the 2012 Nobel Laureate in Literature, Mo Yan, a benign old monk listens to a prospective novice’s tale of depravity, violence, and carnivorous excess while a nice little family drama—in which nearly everyone dies—unfurls. But in this tale of sharp hatchets, bad water, and a rusty WWII mortar, we can’t help but laugh. Reminiscent of the novels of dark masters of European absurdism like Günter Grass, Witold Gombrowicz, or Jakov Lind, Mo Yan’s POW! is a comic masterpiece. In this bizarre romp through the Chinese countryside, the author treats us to a cornucopia of cooked animal flesh—ostrich, camel, donkey, dog, as well as the more common varieties. As his dual narratives merge and feather into one another, each informing and illuminating the other, Mo Yan probes the character and lifestyle of modern China. Displaying his many talents, as fabulist, storyteller, scatologist, master of allusion and cliché, and more, POW! carries the reader along quickly, hungrily, and giddily, up until its surprising dénouement. Mo Yan has been called one of the great novelists of modern Chinese literature and the New York Times Book Review has hailed his work as harsh and gritty, raunchy and funny. He writes big, sometimes mystifying, sometimes infuriating, but always entertaining novels—and POW! is no exception. "Pow! is a Rorschach inkblot of a book, and all the better for not telling the reader what to think. Within the book, meat is everywhere and everything. What that means could be anything."